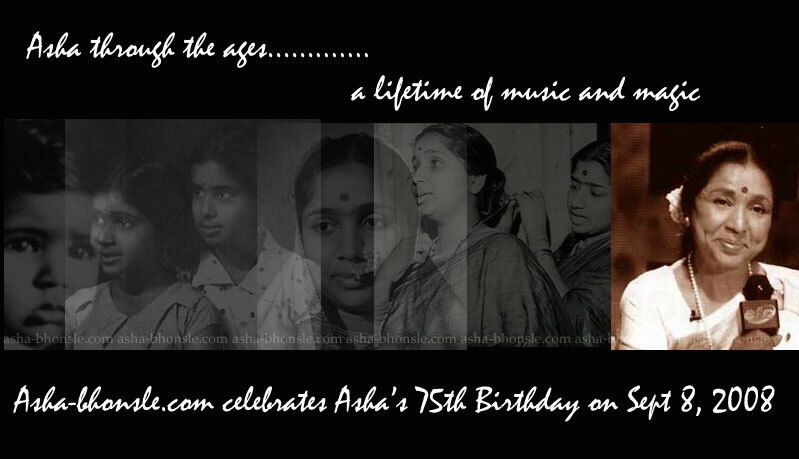 Asha-Bhonsle.Com celebrates The Diva Birthday! Wish Asha on her birthday – in the comments section. This entry was posted on Monday, September 8th, 2008 at 12:35 pm	and is filed under Uncategorized. You can follow any responses to this entry through the RSS 2.0 feed. You can leave a response, or trackback from your own site. Janamdin ki dher saari baadiye apko!